During the winter months I like rides that start from home. I wake up, put on my cycling clothes, drink an espresso, and wait for the sun to take the chill out of the day before heading out. No car needed, just the way I like my bike riding, especially during the winter. 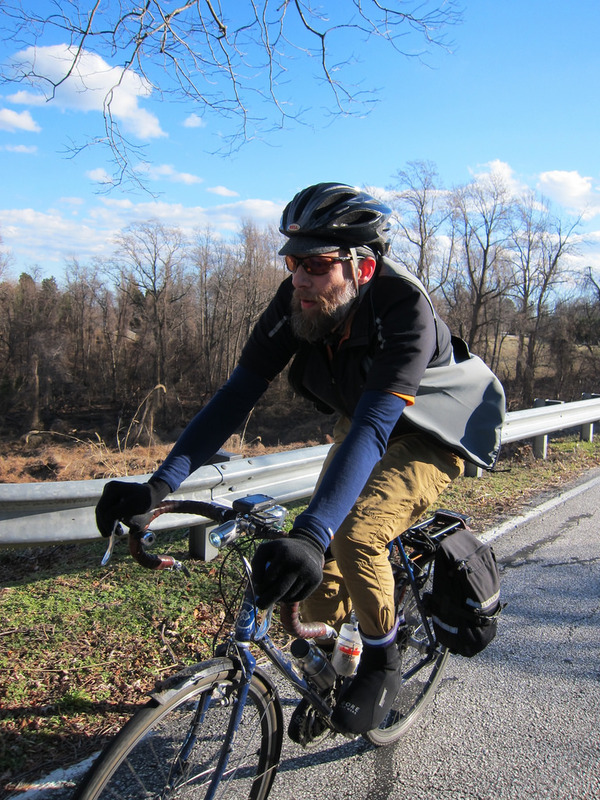 This past weekend, Felkerino and I met up with our friend Lane to ride from D.C. down to North Beach, Maryland. You can see the route here. 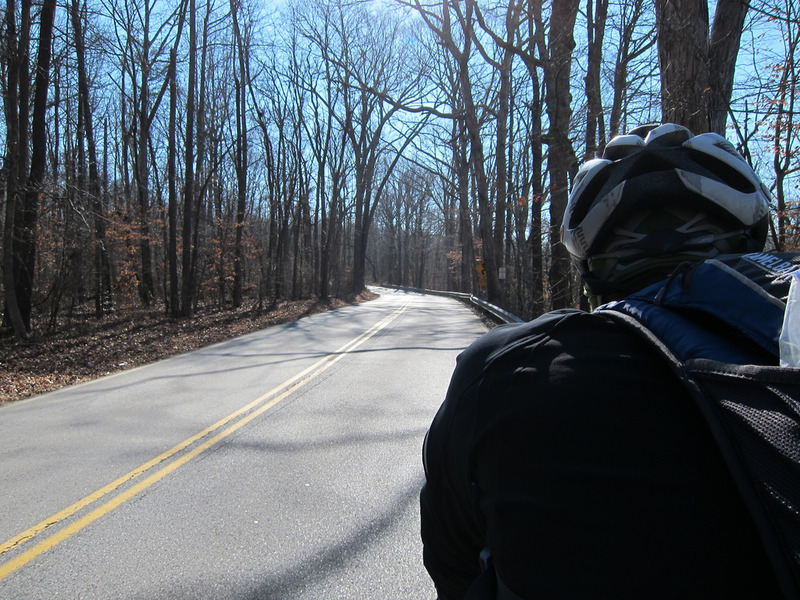 Our standard winter ride, the Leesburg Loop, tends to take us in a more northwesterly direction so the opportunity to try something new by heading southeast to the Chesapeake Bay sounded enjoyable. I imagined that our route would be flat, but it was fairly rolling most of the way. That helped to keep us warm and to feel like we were getting some good exercise. The day was sunny and cool, with a slight tailwind to the midway point. Temps did climb into the 40s throughout the day, but I’ve decided that I’m over winter for the moment so anything under 50 is cold. Yup, that’s how I’m feeling about winter. The route was much more wooded and rural than I expected. Yes, it was a study in various stages of brown, but quite pleasant nonetheless. 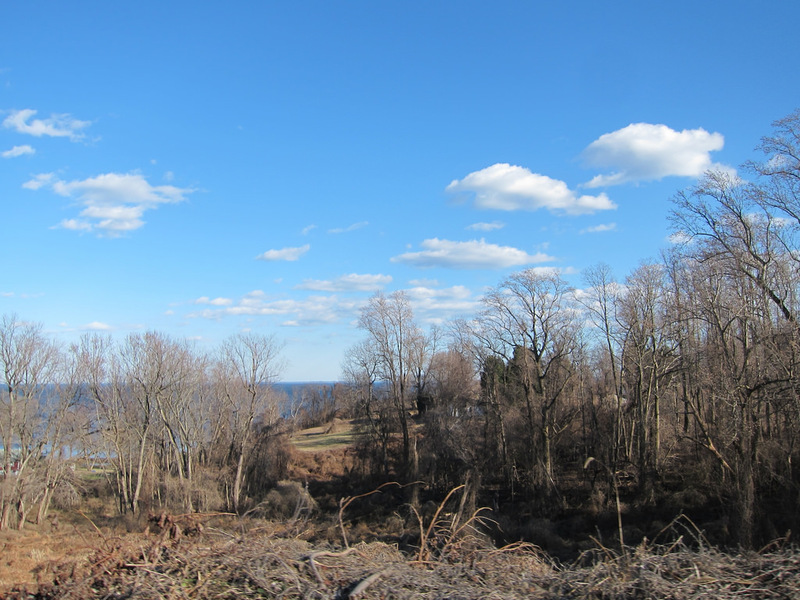 It’s the brown tree limbs and fields of January that make the blue sky pop and help us anticipate spring. 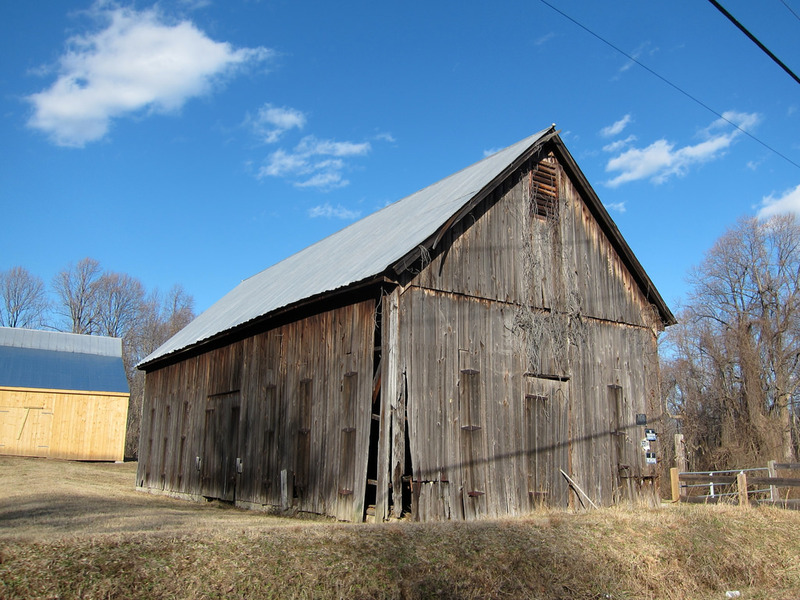 Southern Maryland is full of many old tobacco barns. 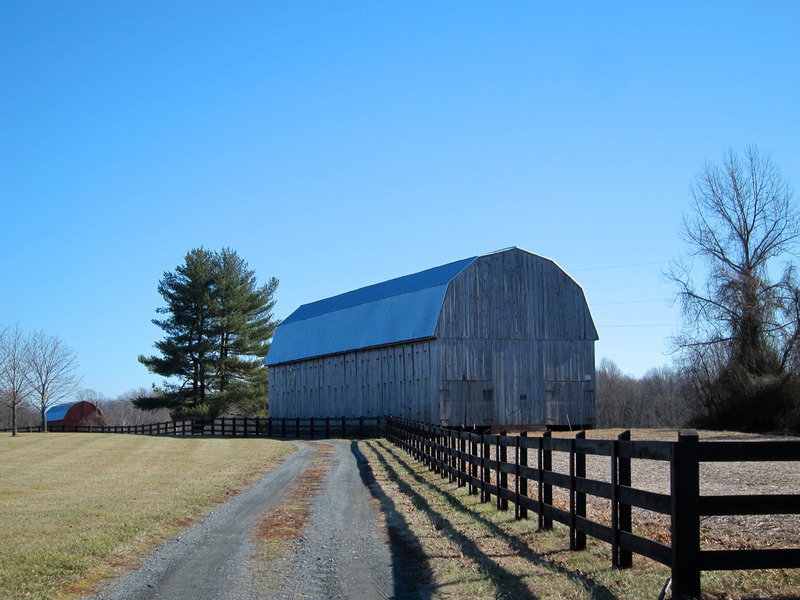 I know tobacco is a toxic crop, but the barns in which it is dried are so beautiful. I love the elegant slats that flare out in order to allow the tobacco to air. Such different barns than those found in my home state of Iowa, where the barns are mostly for housing livestock. Many barns we passed no longer dried tobacco. They sat abandoned, wearing away in the face of the elements. To my eye, this wear added to their character and beauty. On our ride back from North Beach, we spent several miles where the bay was visible off in the distance. As I said, roads were mostly quiet. I think people were home watching the “big game.” Not us, though. 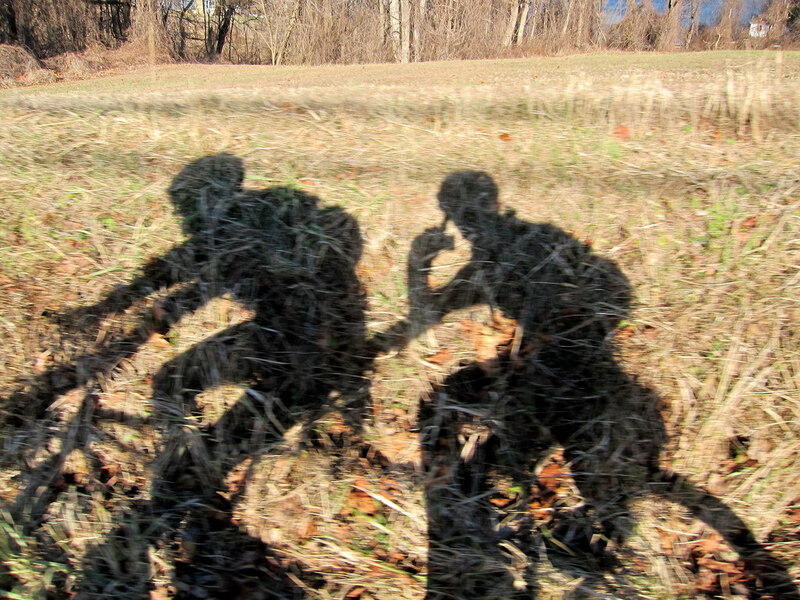 We were out on a 100-mile bicycling adventure from our front door to the beach. Winter Days and Snowmen in Washington, D.C.
“No car needed, just the way I like my bike riding”. Amen, MG.
It’s an uncommon event to see cars at a Ramble start and I like it like that. A hushed, early morning exit can make me feel like a stealthy teenager leaving home on a lark. And then comes the far off journey by bike to… wherever. So many hours later during the return, nearing, or in darkness, I often feel a combination of cockiness and vulnerability. And with that mood, we arrive back into Baltimore still on our bikes. All of those bright lights, potholes, bad smells and grumpy humanity, never feels sweeter. I want to find more interesting routes we can do from home. The problem is finding routes with hills, of which there do not appear to be any shortage up your way. !! I love riding out in that area, glad to hear you enjoyed it. We had not been out that way for a while. It was a really good day on the bike! Looks like a beautiful ride.